It has been quite long when Java 8 was released and now it is getting used more and more. 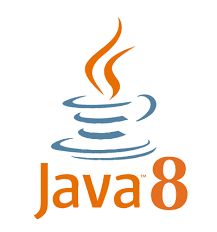 In this post, we will discuss following topics of Java 8. Interface with one and only one abstract method is a Functional Interface, as it is representing exactly one functionality. However, a functional Interface can have n number of default as well as static methods. @FunctionalInterface annotation at the top. Also, we need to understand that, even if we don't use @FunctionalInterface annotation, but an interface has only one abstract method, then by default that interface will be treated as Functional Interface, but it is always recommended to use @FunctionalInterface annotation for a functional interface. The advantage with putting @FunctionalInterface annotation is that today you might define an interface as Functional Interface by having only one abstract method in it without using @FucntionalInterface annotation and keeping in mind that lambdas can be written for this Functional interface,but if you have big project with lots of developers working on that project, then there are great chances that later someone can add another method to your Functional Interface which then will not actually remain Functional Interface as it will have more than one abstract method and at the same time, it will break all the already written lambda expressions as well. So if your intention is to write an interface using which lambdas can be written, better mark it with @FunctionalInterface. The main purpose of introducing Functional interface in Java 8 is to allow writing a lambda expression against the Functional Interface as lambda expression method signature is validated against the Functional Interface's method. There are many inbuilt Functional Interface which has been added in JDK 1.8 in the java.util.function package, which can be used to write a lambda expression. Lambda expression in simple words is the implementation of the Functional Interface method. Normally we write implementations in the methods, but in case of lambda's, there is no method in which it is written so we can think of lambda expression as an anonymous function i.e. a function with implementation but without any name. The syntax of Lambda expression? The main reason to introduce Lambda expression in Java 8 was to enable Functional Programming in Java. Before Java 8, If we wanted to have some functionality which we wanted to execute inline, like on click of a button and this code did not make sense to be put in a separate class, we were doing that by creating an anonymous class. In these cases, we are usually trying to pass functionality as an argument to another method, such as what action should be taken when someone clicks a button. The problem with anonymous class is that even if we are having a very small implementation, code written using anonymous class is very verbose and unclear. With lambda expression, we can write code in more readable and concise manner. Let us see how to write a lambda expression. Lambda expression derives it's signature from the method of the Functional interface, so using add method's signature we will write our first lambda expression. Left side within the parenthesis we will have parameters, then arrow symbol and then a block of statement. Apart from guessing the type of the parameters, the compiler will also get to know that this lambda expression is going to return int value by looking at the return type of method declared in the Functional Interface, so we can remove return keyword as well. Default methods are the methods with some default implementation which can be defined in an interface. Before Java8, we could not have methods with definitions in the interface, however with Java8, we can have methods with the definition as well in an interface, but these are special kind of method, in the sense that they have default keyword in their signature. The main reason for adding default method in Java is to make code backward compatible, even when new method(s) are introduced in the already existing interfaces because if default methods do not exist and we try to add a new method in an already existing interface, it will break all the implementation classes, as those existing implementation classes have to implement the newly introduced method(s) in the interface. The iterable interface which is there since JDK 1.5 has got following new default method in it in JDK 1.8 release. Now as Collection interface extends this iterable interface and collections like List, Set extends Collection interface, this method is available to these collections by default to iterate over the elements of these collections. if this method would not have been default, and it would have been added to Iterable interface, it would have forced all the classes which are implementing this interface (via Collection interface) to implement this method and hence, would have broken all those classes. So to make code like forEach method work without breaking the existing code, default methods are introduced in JDK 1.8. Please share it, if you think it was useful so that others can also benefit from it.